We welcome back an artist from Tokyo, Japan. He appeared on our label before and we are happy to have him back on board of Cinematique. We proudly present Masahiko Inui. About three years ago we signed a dual artist EP by Kertek and Masahiko Inui. The beautiful 'Owl in Space EP' made a deep impression upon us. 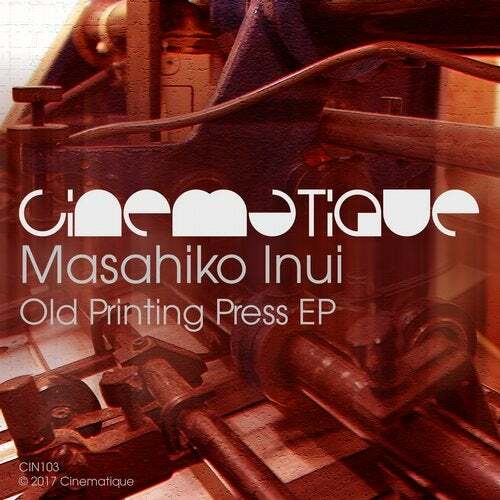 Masahiko musically traveled around on labels like Traum, Animate Dummy, Particles, Mind Field and the mighty InFine before finally coming back to Cinematique. On this 'Old Printing Press EP' Masahiko Inui delivers three very strong and powerful originals. With beautiful layers, lots of energy and enthralling melodies we're sure this release will find its way to lots of melodic techno lovers out there.